1. 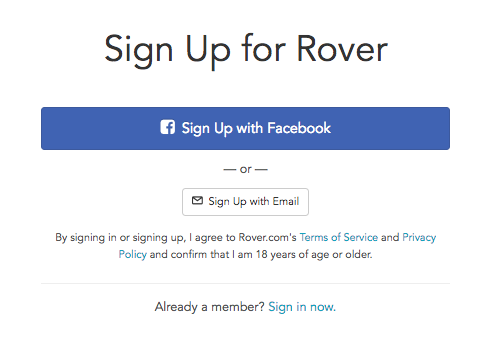 Go to www.rover.com/uk and select Sign Up in the upper right corner of your screen. 2. You’ll have the option to sign up either with your Facebook account or email address. 3. Be sure to take a look at our Terms of Service before continuing. 4. Fill out our simple form. You’re all set!